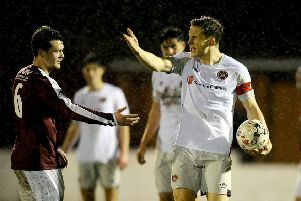 Linlithgow Rose manager Mark Bradley insists his league leaders will show no complacency in this Saturday’s home game against strugglers Edinburgh United, writes Craig Goldthorp. Sixteen points and 10 positions separate the clubs in East of Scotland Conference C, but Bradley told the Gazette and Journal he’s taking nothing for granted. “There will be no complacency,” he said. 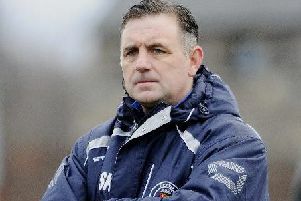 “We know that Broxburn, Jeanfield and Camelon are always breathing down our necks. Bradley said that his team’s 5-3 league success at Preston Athletic last Saturday was “strange” as it was a game which his side dominated for long spells but only confirmed the three points in late on. Goalkeeper Kyle Marley made two bad errors which led to Preston goals and Bradley was undecided about whether to drop him this Saturday.